Julia + Robby are expecting their second child this autumn, and wanted to celebrate their new sprout with a maternity session near Julia's childhood home in North Orlando while they were visiting from Atlanta. 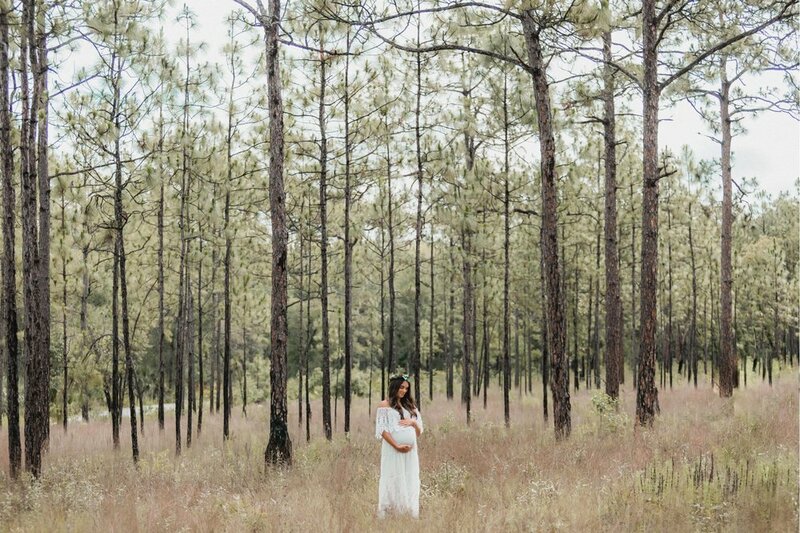 Julia wore a lovely floral crown made by eucalyptus + succulents that she DIY'd, that went beautifully with her lace huipil style maternity dress. I wish this sweet little family the very best with their new arrival!